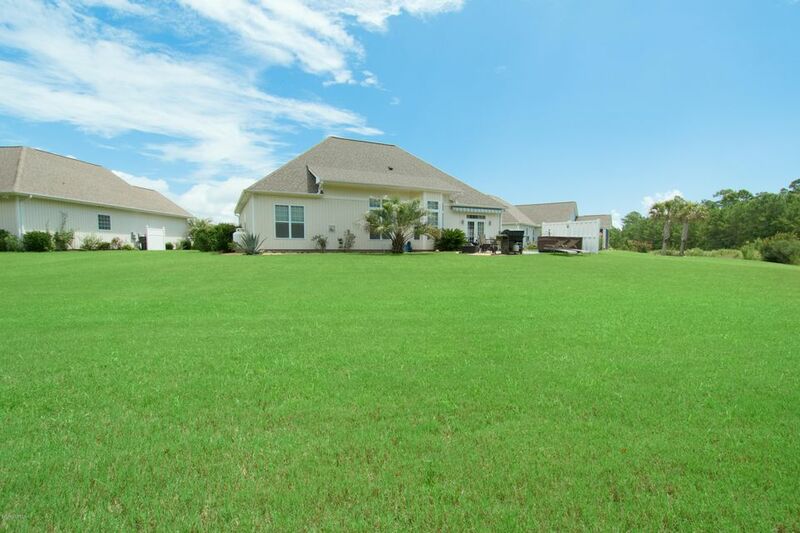 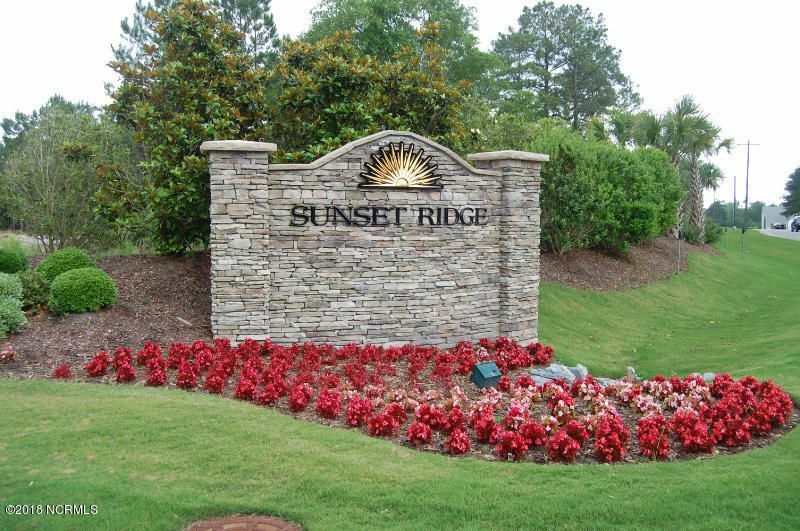 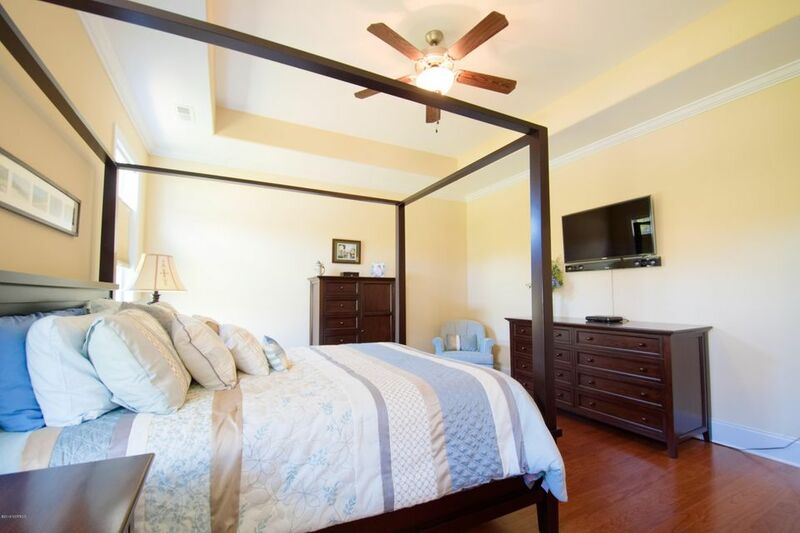 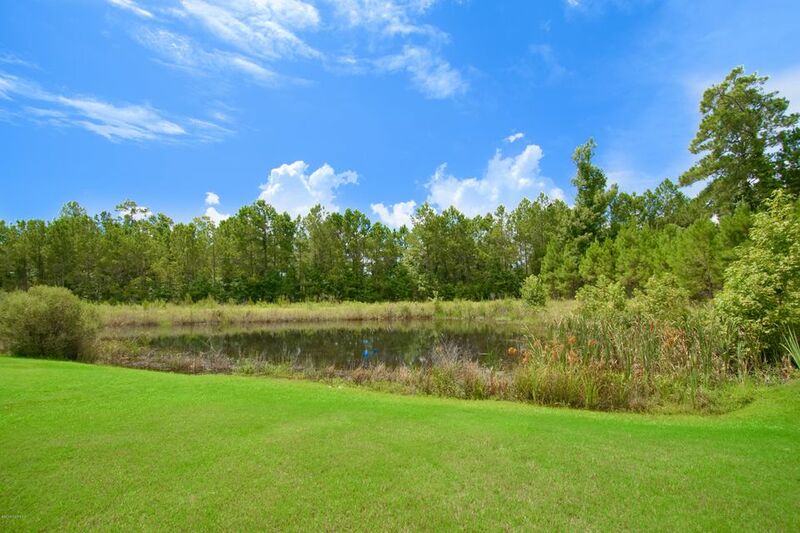 Come see this beauty in the most popular community of Sunset Ridge! 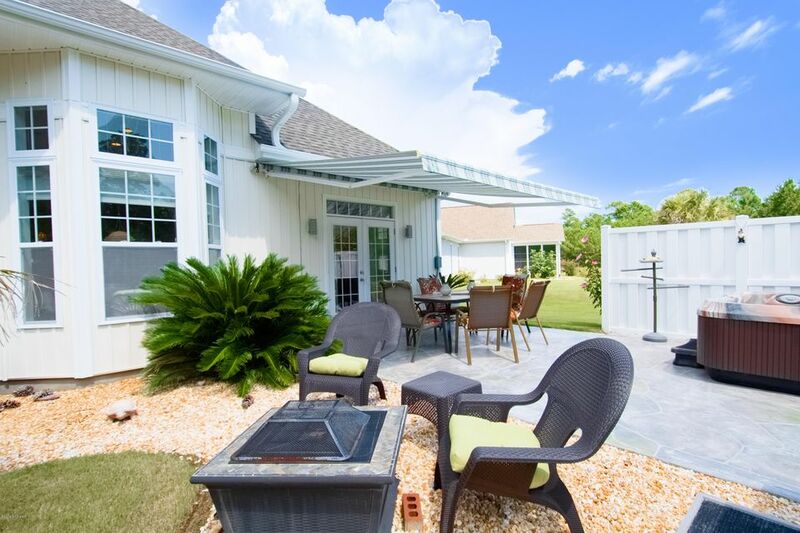 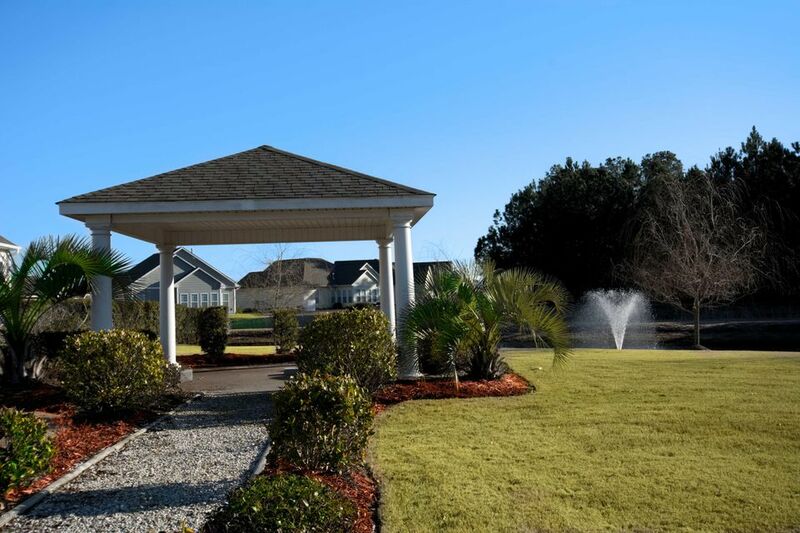 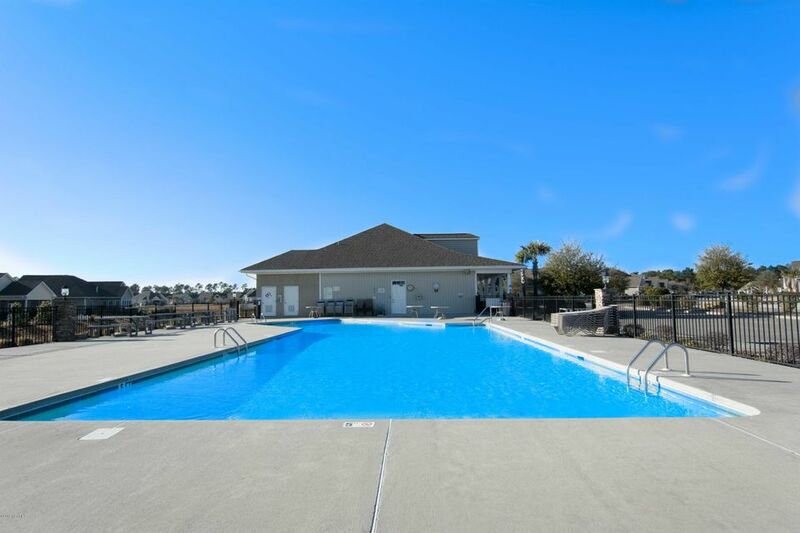 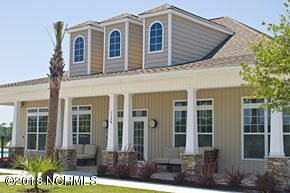 Enjoy low HOA's of only $57/month including pool, clubhouse, exercise facility, active social calendar open to all residents and only 5 minutes to Sunset Beach! 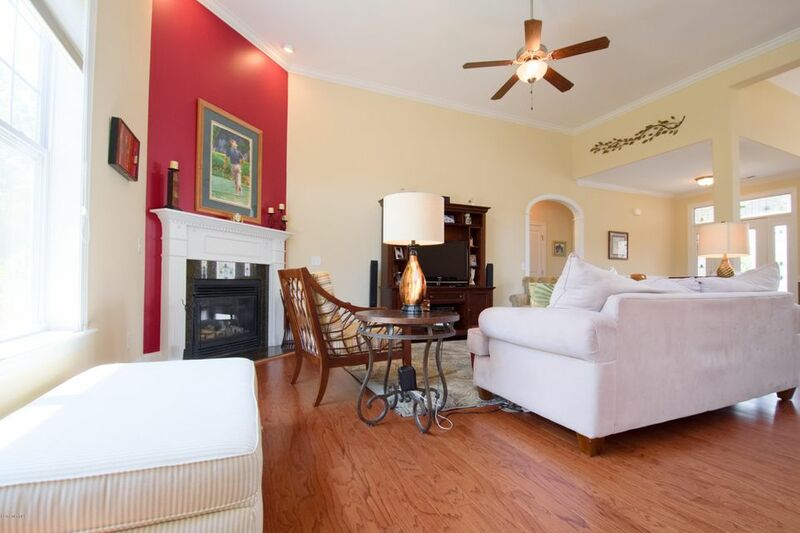 This home is located on an oversized lot right in a cul-de-sac. 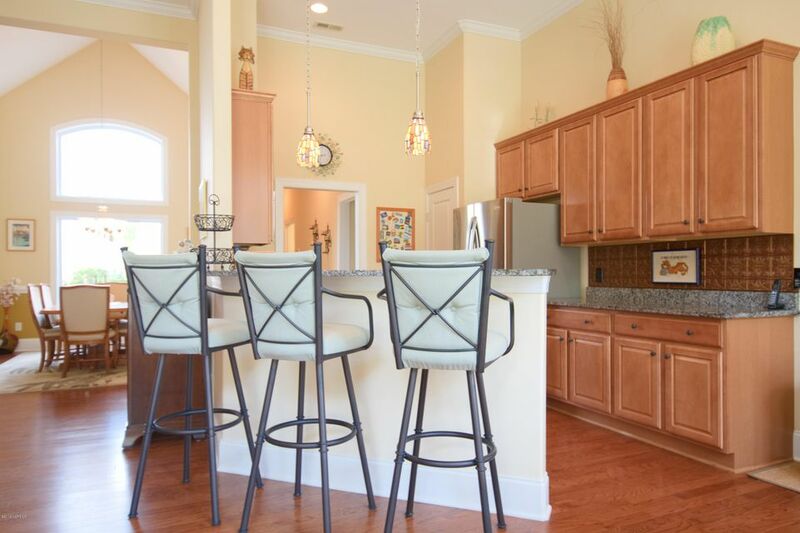 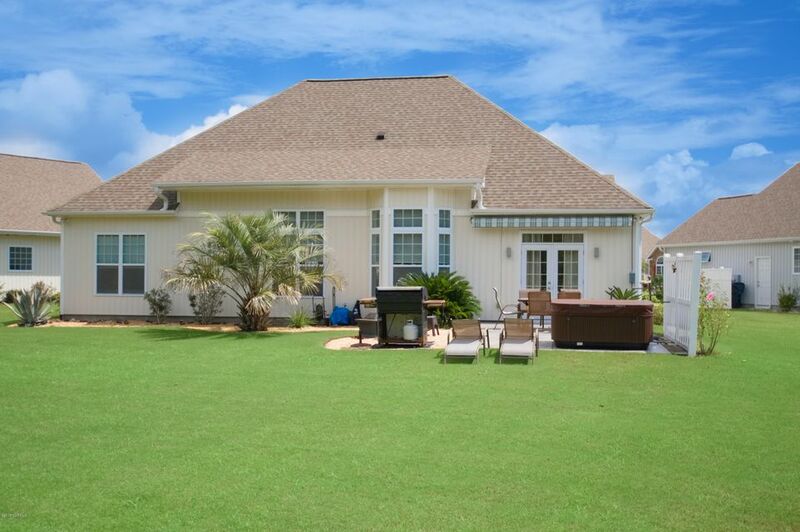 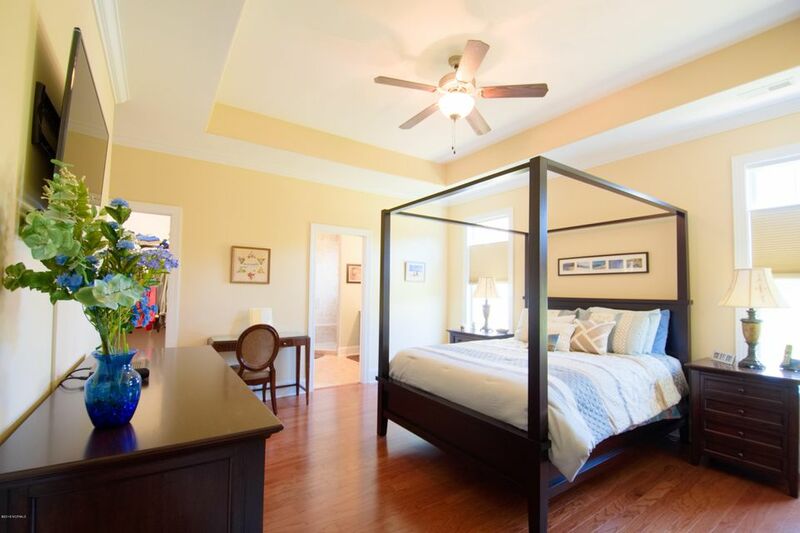 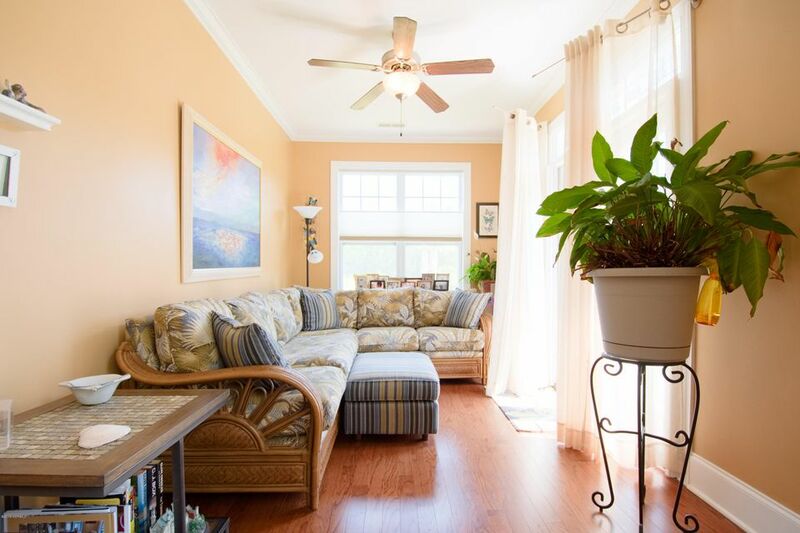 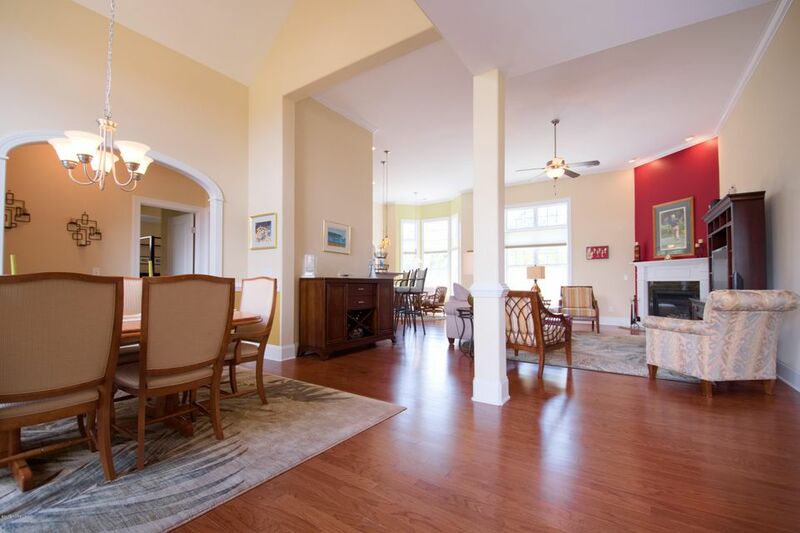 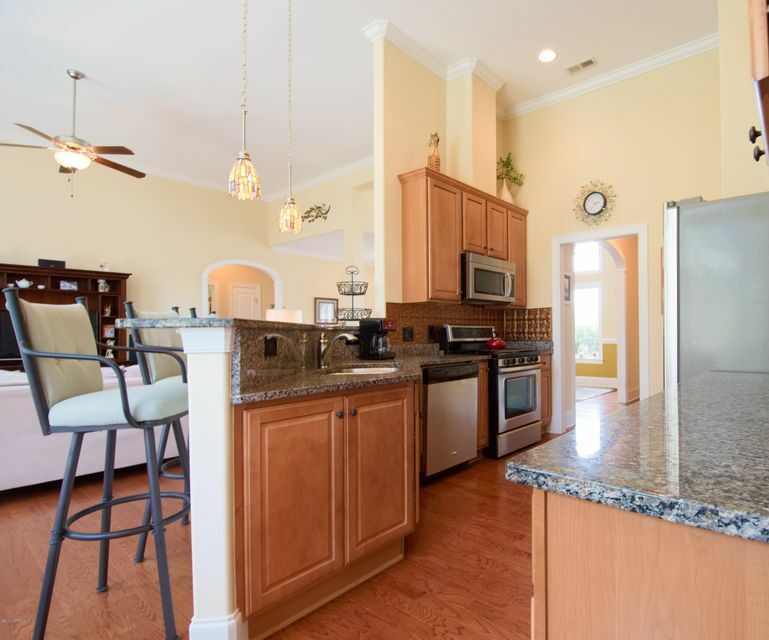 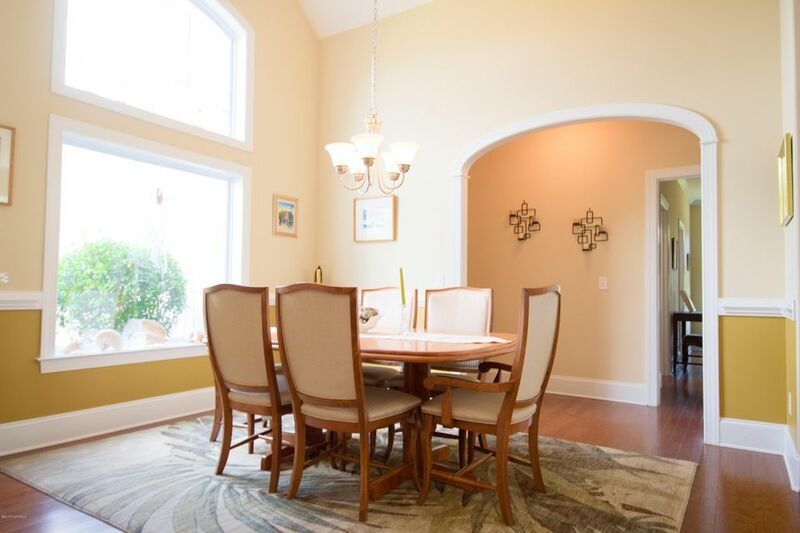 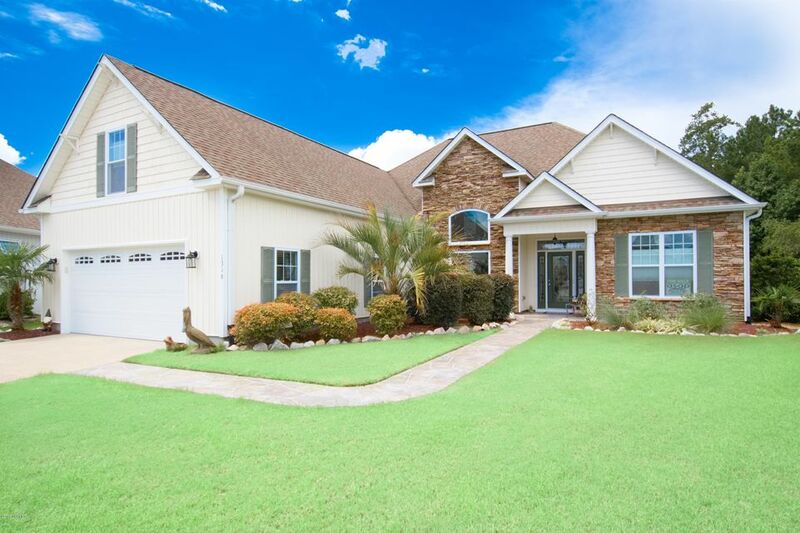 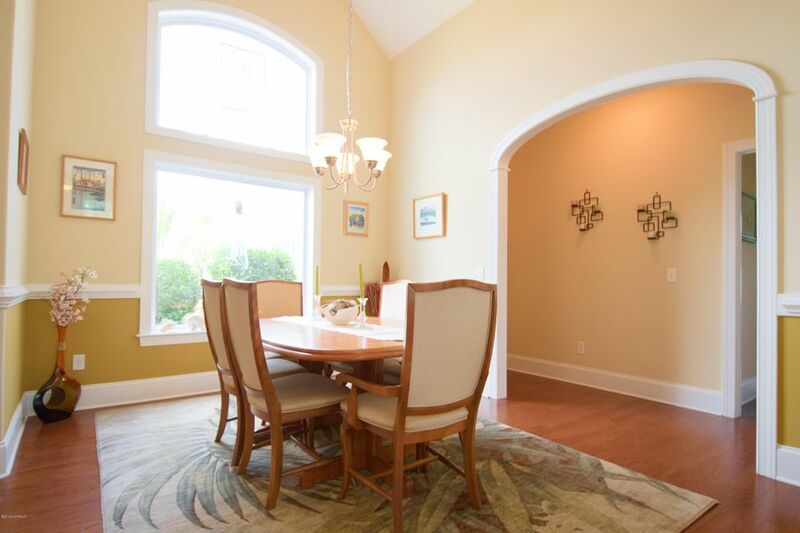 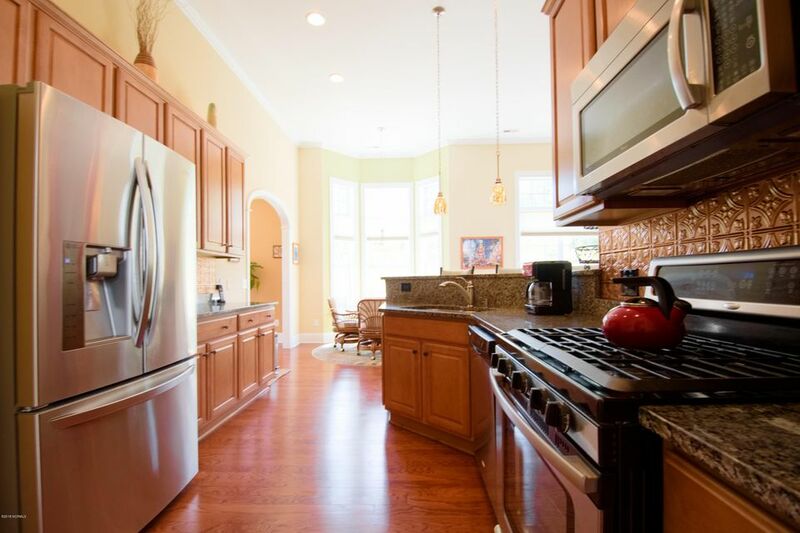 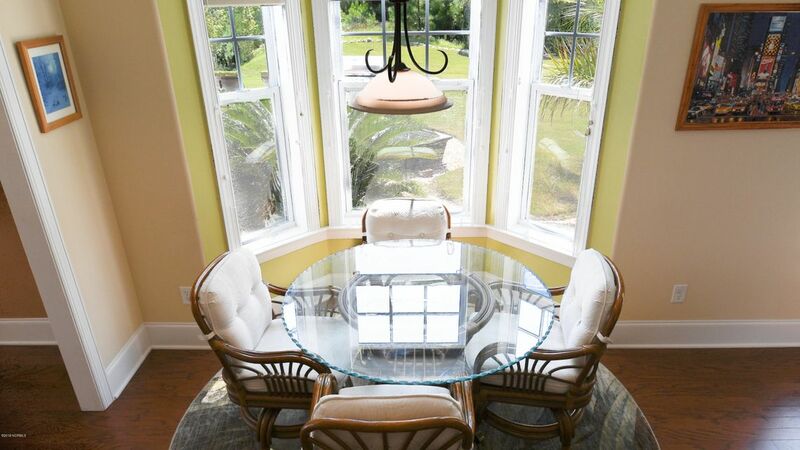 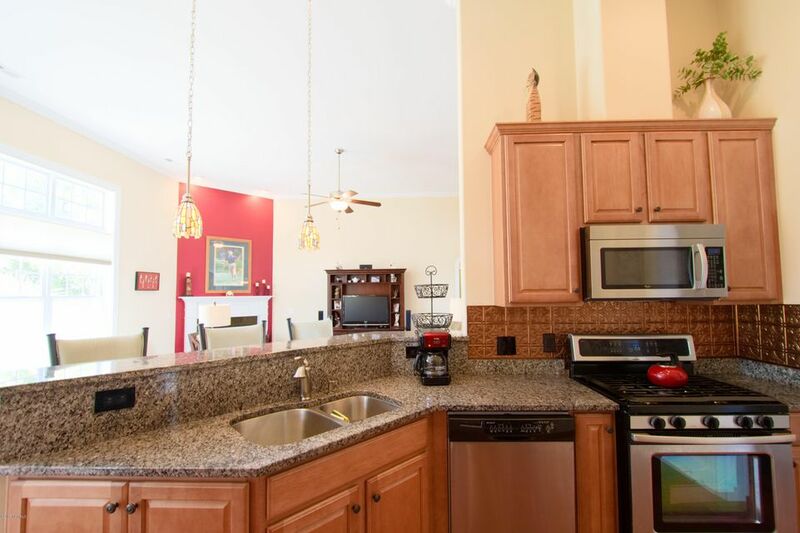 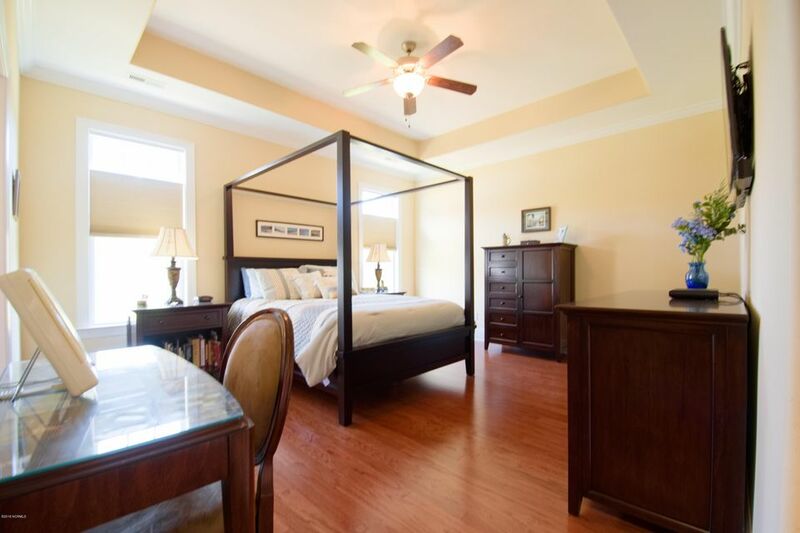 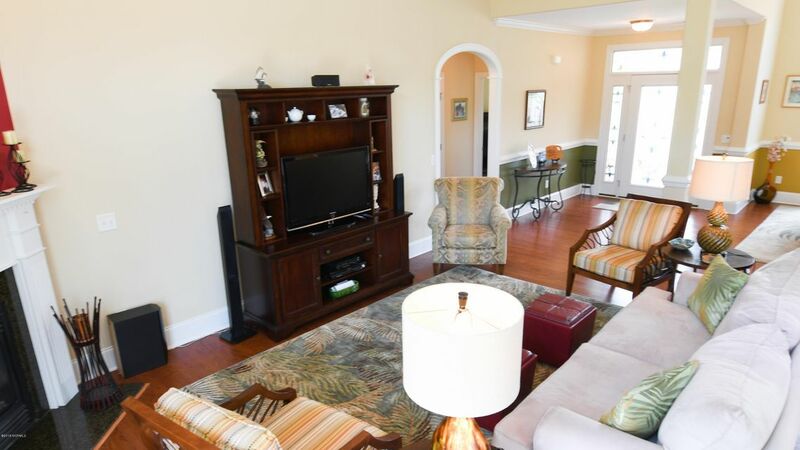 Desirable split floor plan boasts hardwood floors & tile on the entire 1st floor. 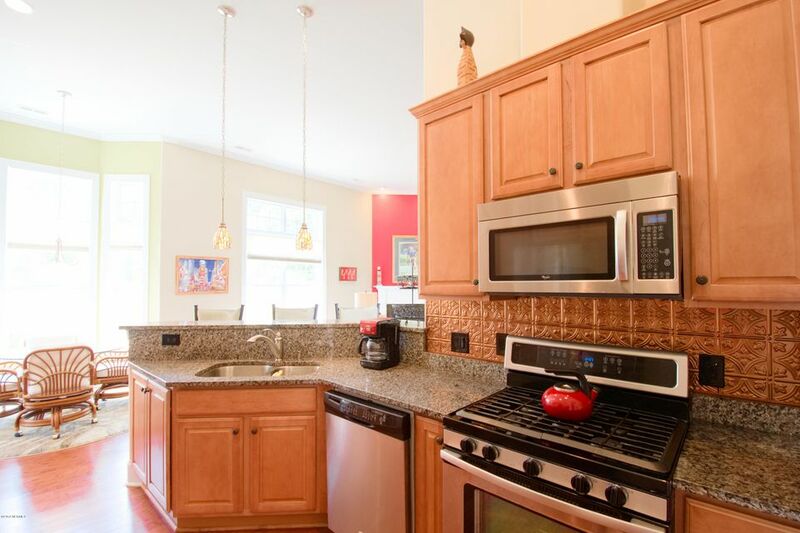 Kitchen has GAS cooking. 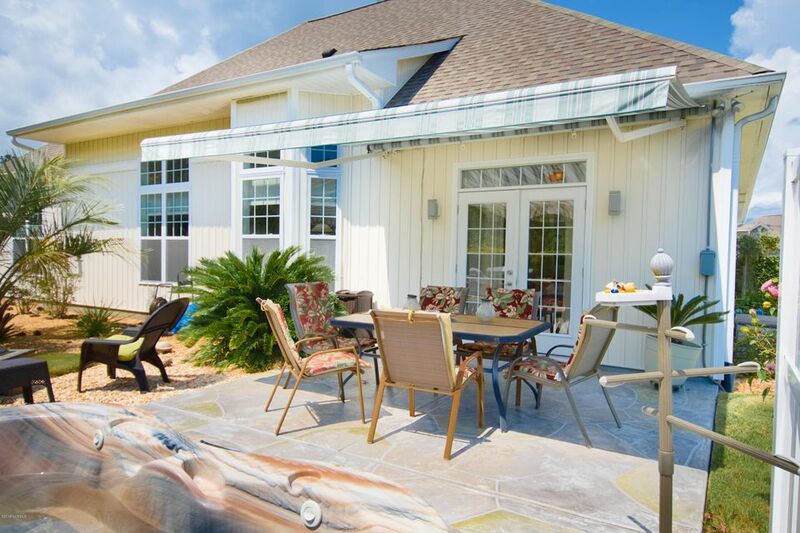 You can enjoy a breeze year round as there are pocket screen doors in front & back of the home. 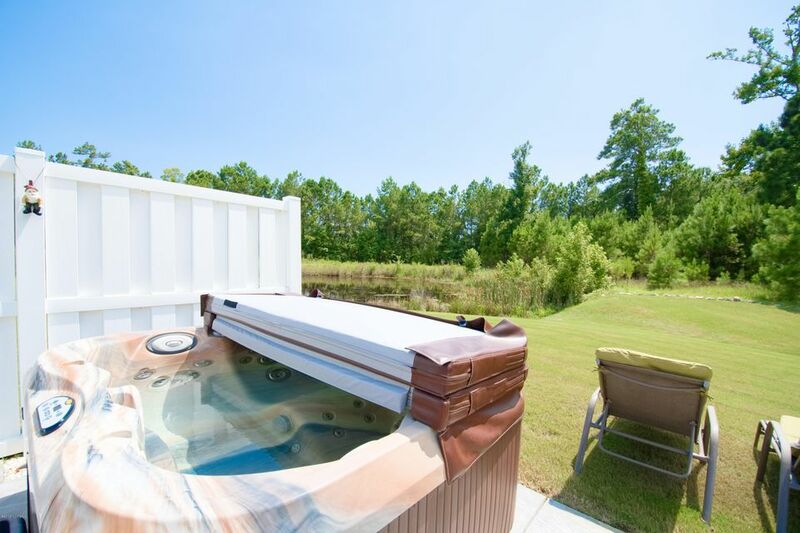 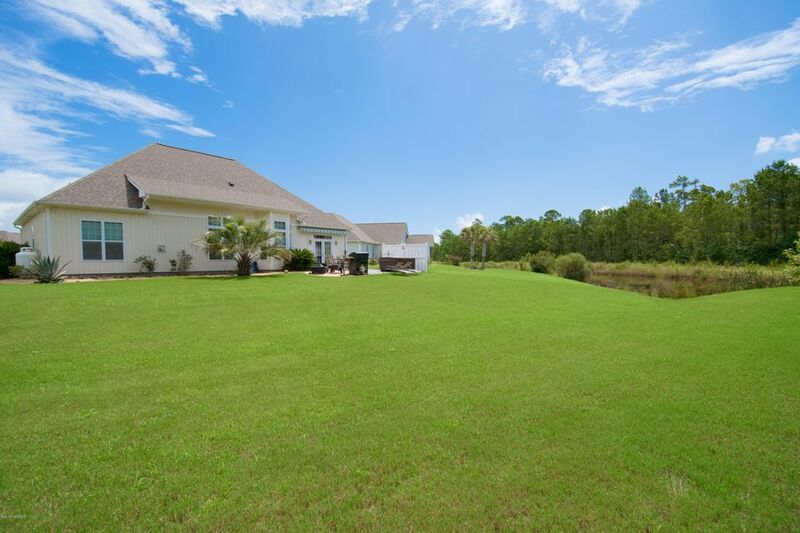 The private backyard is enhanced with a tropical resort feeling featuring a hot tub overlooking the stocked fishing pond & nature views. 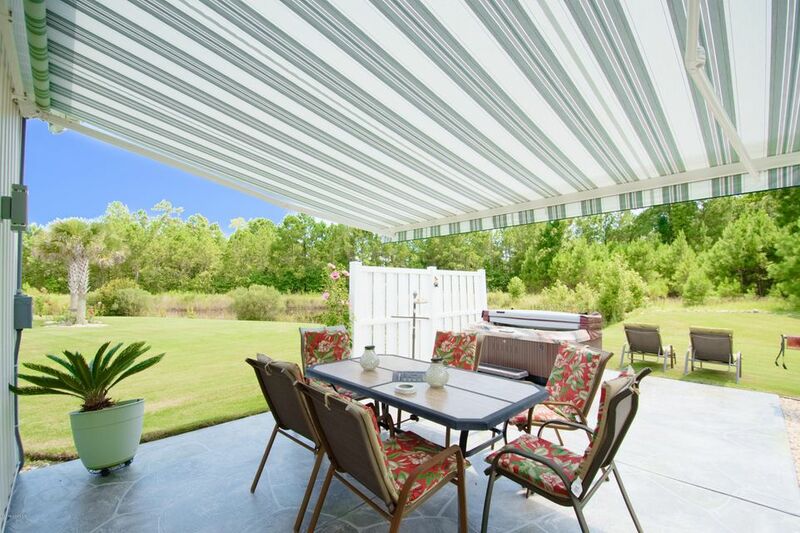 Retractable awning gives it your own cabana feel. 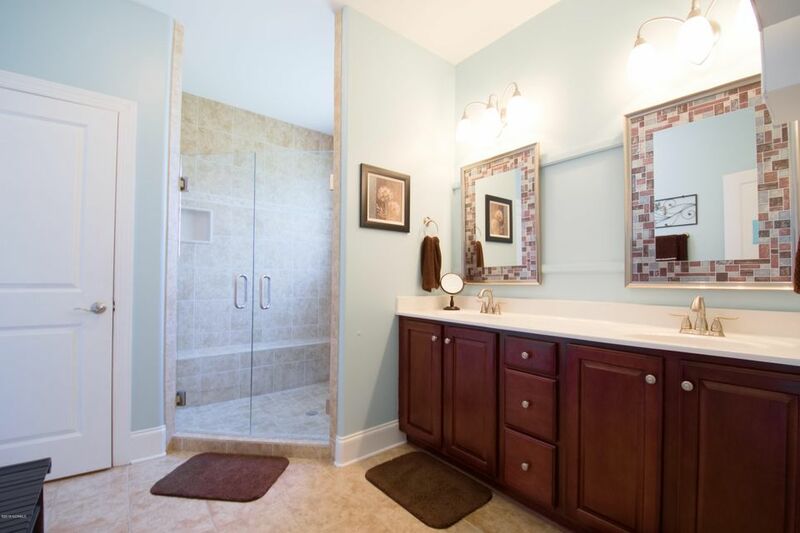 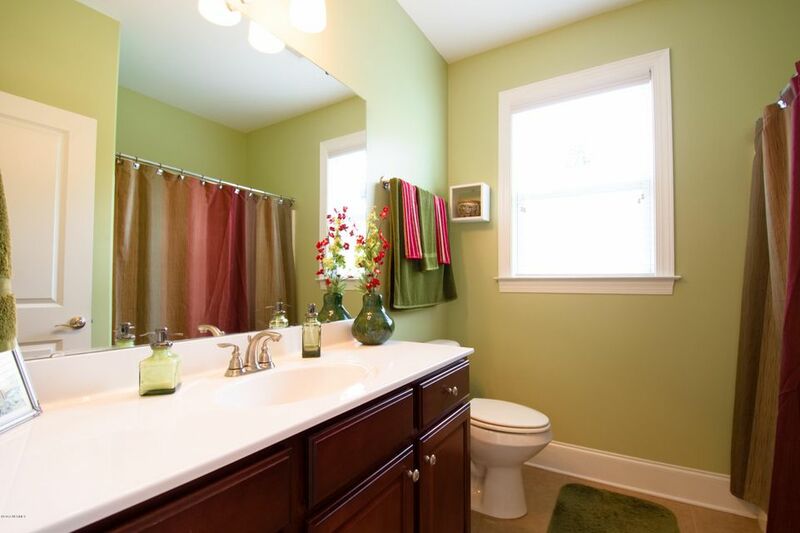 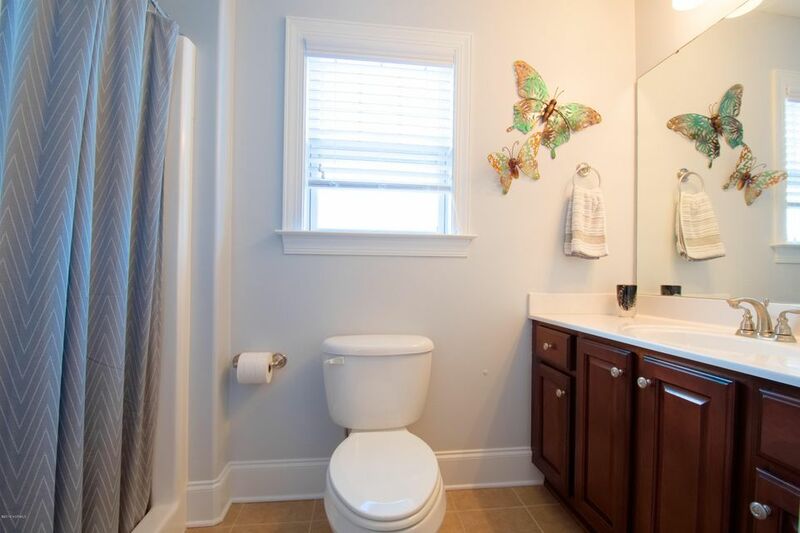 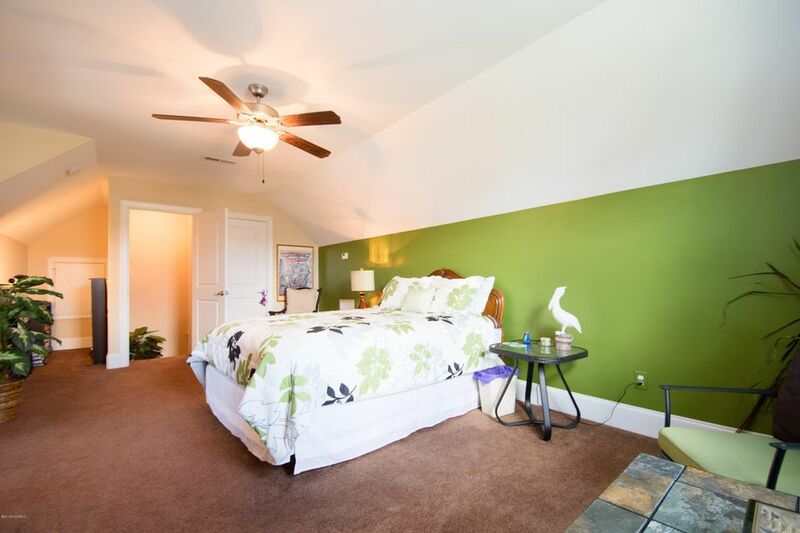 Master bathroom has radiant tile floors & home has a tankless water heater. 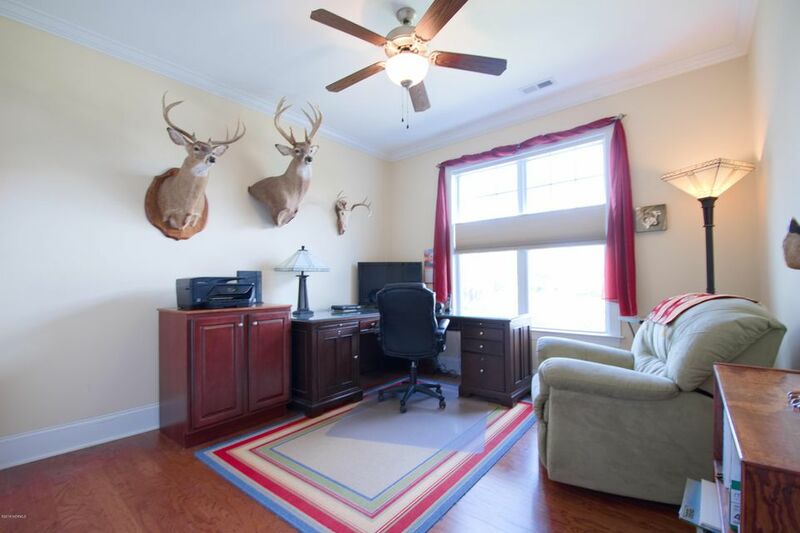 Garage includes pull down screen system.